I’ve now got hold of a LITELOK and have been using it for the past month. Check out my full hands-on LITELOK review here. Sometimes it seems like barely a week passes by without the launch of another Kickstarter funded bike lock from yet another trendy startup company. And the promise is always the same: we will solve all your bicycle security problems with our clever ideas and the latest cutting edge technology. There’s always a slick video. There’s usually a smart phone app. And more often than not, I’m left slightly baffled and a little bit disappointed. Why? Because they either solve problems that don’t seem that significant. Or add layers of technological complexity that will inevitably unravel in the real world. Sometimes they manage to achieve both of these things. And they always seem to marginalize the most important part of any lock: the security. In most of these projects the security level of the lock almost feels like an afterthought. When it should be the very highest priority. Because lets face it, a bike lock must protect your bike from theft. If the lock is defeated and your bike is stolen, no amount of innovative design features will save it from being utterly, utterly useless. And of course, we all know that along with security comes weight. The two are inextricably linked. The more secure a bike lock is, the heavier it is. It’s unavoidable. And this is one of the greatest problems with bike security: in order to adequately protect your bike, you have to lug round a very weighty and very inconvenient bit of metal. So when I first read about the LITELOK, I was understandably dubious. A light bike lock that is also secure? It’s impossible. Isn’t it? Well, apparently not. Using a new, super tough, super light material they call “Boaflexicore”, the LITELOK defies expectations. 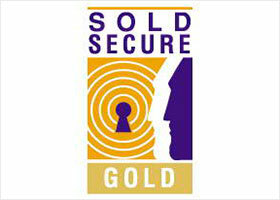 Not only does it weigh less than 1 Kg, it’s also been awarded the very highest Gold security rating from Sold Secure, the independent lock testers. The LITELOK is closest in form and function to cable or chain locks. These are practical and easy to use. But most cable locks are close to useless when it comes to actually protecting your bike and chain locks are notoriously heavy. And while the other major alternative U-locks, can provide a high level of protection at a reasonable weight, their rigid shape means they’re not always so practical to use. Sounds promising! But let’s look at some real world comparisons. You can compare the weights of security ratings of a whole load of U-locks here and chain locks here. Compared to chains, both the Kryptonite Keeper 755 Mini and the Hiplok Lite are about the same length and weight as the LITELOK. But both of these locks only have a Sold Secure Bronze security rating. And there’s a big, big difference between Bronze and Gold. In fact, I don’t recommend locks that are rated Sold Secure Bronze to anyone. Talking of length, the LITELOK is admittedly, not very long. In fact at 29″ / 73.6 cm, it’s pretty short. But you can actually join two of them together to double the usable length if you really need to. 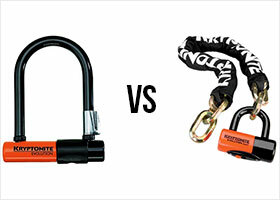 Against U-locks, which are generally lighter, you might think the competition would be closer. But the lightest Sold Secure Gold rated U-lock I can find (with a verified weight) is the Abus U-mini 401 Yellow. Not only is it still slightly heavier than the LITELOK, it’s also a mini u-lock which makes it significantly less practical to use. So yes, it does seem like the LITELOK may well have found that hallowed ground where a high degree of practicality is not undermined by poor security. But this isn’t a proper review. Let’s save a full appraisal of the LITELOK until it’s been released and real people start using it in the real world. When real thieves start to tackle it with real tools. Because a Sold Secure rating is not the be all and end all. Let’s see how the thieves rate it. However I am genuinely optimistic, even excited by the prospects of this lock. The people behind it seem to have done everything right so far. They’ve tackled a genuine problem. They’ve had their lock certified by an independent tester. And there’s no smart phone app in sight! So I really look forward to giving it a full review once it is released. In the meantime, if you need great lock RIGHT NOW, check out my guide on how to choose a lock. I think Kickstarter is great. And since there’s always loads of bike lock projects on there, I thought it would be a good idea to cast a discerning eye over some of them. Essentially it’s a bike seat that incorporates a folding lock. The lock itself is very similar to the Abus Bordo. But in this case the lock is permanently attached to the bottom of the saddle. To use it, you simply unlock, unclip and remove the saddle from the special mount, unfold the 3 ft (1 m) steel lock and attach it round your bike and an immovable object. A video would probably explain this much better than I can, so have a look a this promotional film from Seatylock themselves. At first glance this seems like a really good idea. The lock is permanently integrated into your bike so there’s no chance of you forgetting it. It sits very discreetly under your seat so it doesn’t spoil the aesthetics of your bicycle. And in this position, under your center of gravity when your riding, the extra weight should be almost unnoticeable. It also very neatly solves the problem of rampant seat theft. No one can steal your seat if your seat is your lock! But if we want to make a more considered assessment of the Seatylock, what do we need to look at? Well, since all locks offer a compromise between three qualities: price, practicality and security, lets have look at how the the Seatylock might fare in each of these areas. For bike locks, practicality means two things: how easy it is to carry about and how easy it is to use. Since in this case the lock is tucked permanently under your seat, it should be very easy to carry around. There’s no frame mount that may or may not fit your bike. And then may or may not work loose and rattle. And then may even even fall off. With the Seatylock it’s all very neat and tidy. But how easy it is to carry is also related to its weight. 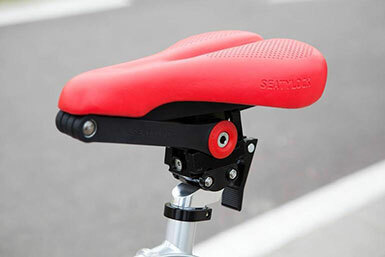 The Seatylock weighs either 1.3 kg or 1.4 kg, depending on which type of saddle you get (more on this later). Seatylock claim that this is less than the weight of 90% of decent seat and lock combinations available today. It’s difficult to check whether this is strictly true or not. But you can easily compare it to the weights of other U-locks and chain locks. And… 1.3 kg is not heavy by any means. It’s equivalent to around three and a half cans of coke. And as the people at Seatylock say, you won’t notice that sort of weight when it’s under your saddle. How easy is it to use? Well in the this video it looks really simple. Seatylock claim it takes less than 30 seconds to unlclip the seat, unfold the lock and secure your bike. 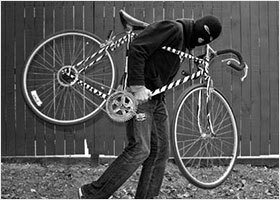 While thirty seconds would be roughly three times longer than it takes me to secure my bike with my U-lock, it’s not prohibitively long. And considering the benefits mentioned above, it seems an acceptable length of time to me. For others maybe not. And removing and then replacing your bike seat every time you lock your bike may become a real drag for some people. I’m much more concerned about how flexible the Seatylock is in terms of different seat posts and seat types. They claim that the universal adapter means it fits any bike on the market with a normal saddle. And they offer a variety of different adapter connectors for commonly used seat posts. But it will only work with saddles from Seatylock. At the moment you are limited to a choice from two: a wide “Comfort” saddle and a more sporty “Trekking” saddle. While these come in lots of different colour combinations, I worry that this limited range will put people off. However they do say they are working on new saddle models so hopefully the choice will improve. Security is always my biggest concern with any new type of lock. Especially when it comes from a company with no past experience of producing locks. Seatylock helpfully provide a video of their lock being attacked using several common bike thieving techniques. And of course it survives them all admirably. But I remain skeptical. The Seatylock is very similar to the Abus Bordo which isn’t the most secure of locks itself. And Seatylock certainly doesn’t have the same pedigree as Abus. What’s more, since they don’t have a whole range of other locks to compare it to, when they say it’s secure what does that actually mean? It begs the question “how secure?”. 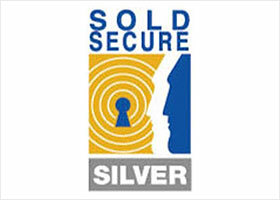 For me the best thing any new lock company can do is to get it’s locks rated by the independent testing organisations like Sold Secure and ART. This is what Hiplok did. And now I can confidently compare their locks against the locks from other companies. I know how secure a Hiplok is. But I don’t really know how secure a Seatylock is. So until we have reliable third party security ratings for the Seatylock I’m afraid the jury is out! You can pre-order the Seatylock now for $90. But the final retail price will be $129. It’s not cheap. But don’t forget you’re buying a lock and a seat! In fact, you can buy the lock without the seat. It’s called the Foldylock and is $95. This is around the same price as the very similar Abus Bordo 6000. But more expensive than OnGuards folding lock. So if the lock that comes with the Seatylock is the same as the Foldylock and the Foldylock is as good as the Bordo 6000, then $90 is a pretty good deal! And even $129 is not too bad. But whether it’s as well made and secure as the Bordo is not yet clear. We will have to wait and see. I think the Seatylock is a nice idea. Combining your bike seat with your bike lock in this way can solve several common issues. You’re never going to forget you bike lock. You’ll never have any problems with dodgy frame mounts. You’ll never complain about the ridiculous weight of your lock. And you’re seat will never be stolen. However I’m still unsure how secure it is. And until we have security ratings from independent testers or we start hearing stories of stolen bikes, we just won’t know. I’m also a little bit concerned about how practical it will be for some people to keep removing and replacing their bike seat every time they stop. And I’m slightly more concerned about whether the limited choice of bike seats will put a lot of people off. So, a mixed bag really. Although they met their funding target in November 2014 and you’ve been able to pre-order for a while, they’ve been making some improvements that have caused some delays and the first batch will not be released until around September 2015 I think. I really hope it’s a success because I think it’s a great idea. And once it becomes available I would love to write a full Seatylock review. If you have ordered one of these locks please let us know what it’s like when you receive it and start using it. In the meantime, you’re probably best off with a decent chain lock or U-lock. And check out our tips for keeping your seat safe as well!